Check out the latest and greatest gadgets on the market! Real Mom Radio is heard on 95.7 Ben FM - Philadelphia. I'm so super excited to be able to launch this FABULOUS holiday guide! We have worked our tails off around here collecting THOUSANDS OF DOLLARS in toys to benefit the sweet kids who were affected by Hurricane Sandy. I can't even imagine what life is like for these kids who had their homes turned upside down. Please support these AMAZING manufacterers who kindly donated their toy inventory to make a difference. All this month on Real Mom Radio (95.7 Ben FM in Philly and listen online at www.ilikebenfm.com) we are sharing these hot toys and all the FUN they have with them! Listen to compare and get out to get the 'goods' for your families. Cheers to a JOYOUS HOLIDAY SEASON & our hard work of getting over $10,000 worth of toys for kids!! Yes, if you are a parent to a toddler you DEFINITELY know the 'Max & Ruby.... Ruby & Max' theme song with these two funfilled characters! GREAT NEWS FOR MAX AND RUBY FANS!! Real Mom Radio is giving away family 4 packs to the shows, December 8th at 1 & 4 pm AND cash!! * Upload a video to YouTube or Real Mom Media on Facebook of your Max & Ruby fans enjoying Max & Ruby! **Ideas: Have them dancing, singing, playing along..even playing with their stuffed Max & Ruby toys. * Then come back HERE and post a link to your video in the comments! We'll share all the videos throughout our facebook pages & on November 27th we'll announce the winner of 4 tickets to the show PLUS $100 CASH to enjoy!! Good luck! And be on the lookout for your videos to share. OR.. if you just want to put the pedal to the medal and get your tickets NOW for Max & Ruby at Tower Theatre - Shop on! *Tweet this giveaway: "WIN $100 CASH & TIX TO SEE MAX & RUBY @TowerTheatre with @JoeyFortman http://bit.ly/SKbBxe!!!" Be sure to leave a comment with a link to your tweet for bonus points! *TAG Real Mom Media on Facebook and mention this post! WIN $100 CASH & TIX TO SEE MAX & RUBY http://bit.ly/SKbBxe!!! There are often times in life when you as a mother, woman & friend just want to do something different. Something to boost your self esteem. Help your confidence levels. Sometimes you have to just do something for YOU. This past March I did just that. 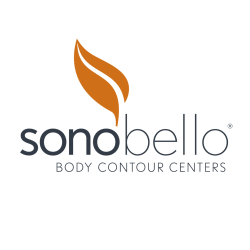 i visited Sono Bello in King of Prussia and really did something big for myself. Sono Bello Body Contouring Center is accreditated by AAHC. So what does that mean? That means you're in the RIGHT place for to do something for YOU now that the kids are back in school! And with this accreditation, you know you're in safe, comforting, award winning hands. Call or go online to set up a free consultation. Christina & her crew make you smile when you walk through the door! The women in front are awesome! The place is classy from the front to the back! Check out their exclusive Tri-Sculpt liposuction procedure or their Velashape II treatment option for that darn cellulite. Want to hear my total story? Check out my post from my awesome experience with Sono Bello! Also, hear the interview with Christina Schmdit from Sono Bello.